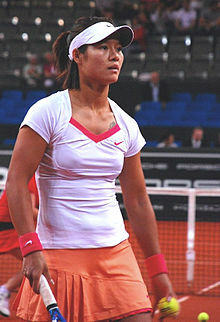 Li Na (born February 26, 1982) is a Chinese retired professional tennis player. As of January 2014, Li has won 9 WTA and 19 ITF singles titles. On 19 September 2014, Li announced that she was retiring from tennis after she had missed the US Open Series because of a left knee injury. This page was last changed on 17 April 2019, at 16:31.